We’re continuing our series about author websites. So far, we’ve looked at why you need an author website, how to set it up, and essential elements. 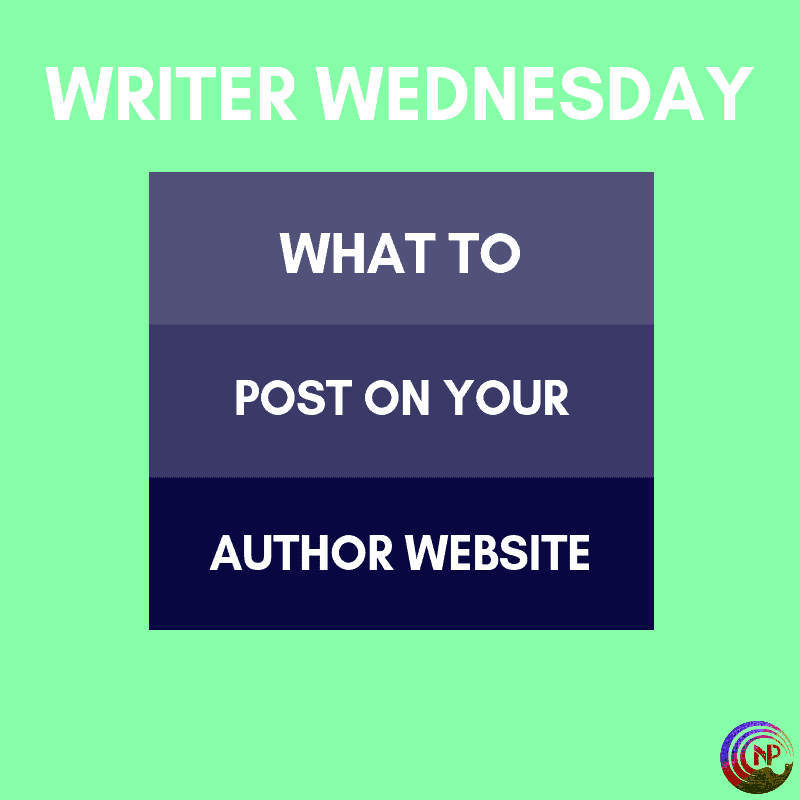 In that last post, we already covered some of what to post on your author website, but I wanted to address that in more detail. Out of all the essential elements we covered in that post, we’ll focus on the content aka news part today. For new authors especially it can be tricky to come up with something to share. Before we get into this, it’s important to repeat what I stressed last time, and that is to keep crystal clear what the intended audience of your website is: readers. These readers may also be authors, since those two are not mutually exclusive, but your primary audience are readers. Keep that in mind when you try to come up with things to post. Even more important is this question: what’s your goal with your website? We’ve talked about this in the first post, when we covered the “why” of an author website, but this, too, bears repeating. Ultimately, my goal is to sell books. That’s what all my marketing as an author is about, and my website is part of that. That doesn’t mean I’m into hard selling all the time, or pushing my books into readers’ faces. I’m a huge proponent of what’s called relational marketing, which means building a relationship with your readers and then do soft sells through that relationship. I’ve explained this in a bit more detail in this post. My author website is part of this relational strategy, which has important implications for what I choose to post. Building that relationship means constantly asking what I can do to provide some kind of benefit to my readers. What’s In It For Readers? Why would readers go to your website? What reason do they have to visit and read something you posted? They will only do this if there’s something in it for them. It has to bring them something, whether it’s a curiosity that’s satisfied, being the first to be in the know, knowing when a book is released, or feeling good because they supported an author—and these are just some of the options. Everything you post, then, will have to provide some kind of benefit, some kind of added value for readers. It can be as simple as entertaining them, or making them excited about an upcoming release. Only posting about a new release won’t cut it, because that holds little value for readers of they can find out that same information elsewhere. Coincidentally, it’s also not the best way to sell your books. My weekly deals, for instance, don’t sell my books, unless I happen to have a deal or new release myself. In that sense, it may be weird that I spend a couple of hours on those every week. But they do fit into my overall strategy, which is to provide readers with things that are useful to them, in this case a buttload of great deals each week. announcements of anything new that’s of interest to readers: you’re producing an audiobook, you’re part of a new group, you’ll have a freebie in three months, anything. Always remember the rule of seven: people have to see something seven times on average before they buy. Also factor in that people have a crappy memory and need to be reminded a dozen times, haha, which means you can easily repeat similar information in different types of posts. Many authors think that they can and should announce something only once, when the truth is that multiple times is better. I think this will be the last post in our series on author websites, unless I think of something else…or unless you guys have more questions. Hit me up if you do! All good stuff, as usual. What about newsletters? Who to go with, what readers want to see. Before you’re finished something or after? Great topic! That’s a good one for next week.